Two cats singing. A mystery on its own. 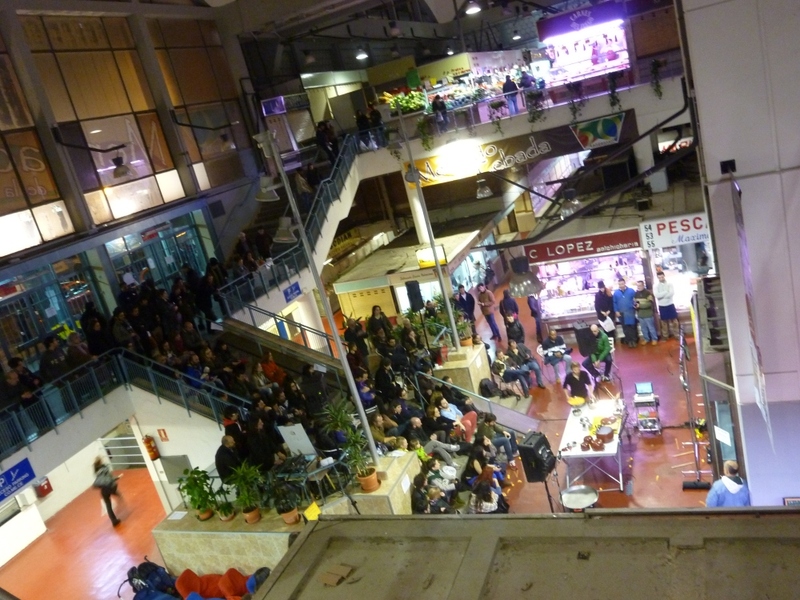 Future hopes for Consuelo’s workplace, the Mercado de la Cebada, are up again it seems… at least when it comes to creating new artistic space! 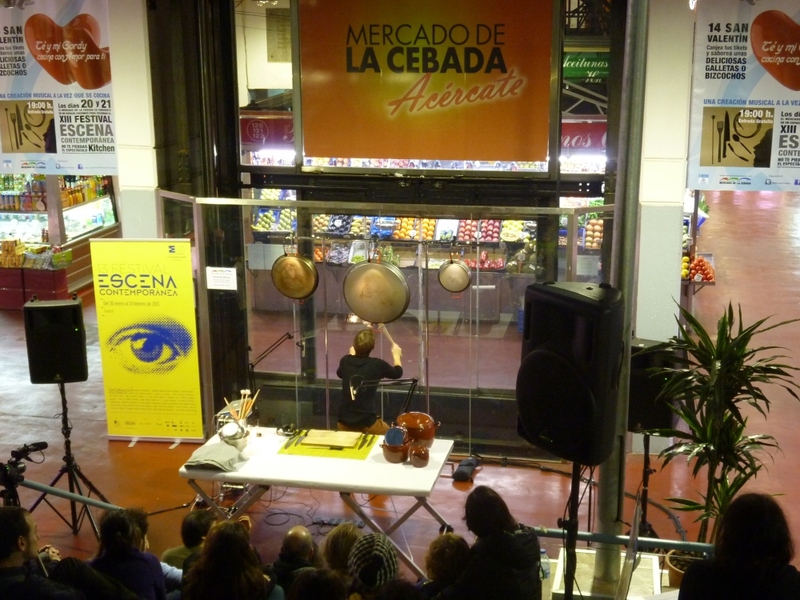 On 21 February 2013 the market transformed into a stage for Madrid’s 13th Contemporary Arts Festival. 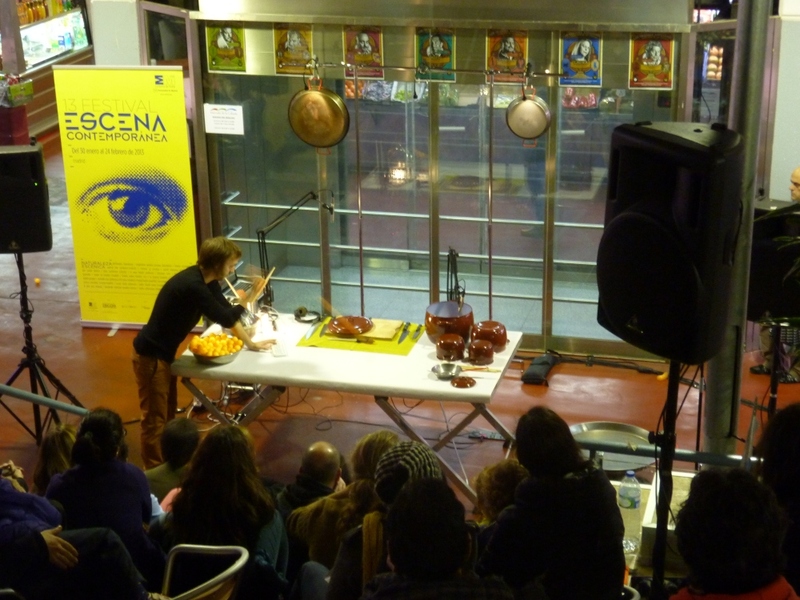 In a piece called “Kitchen” Pablo Martín Jones cooked while mixing music, or the other way round. Certainly an innovative way of reviving the market! Putting all eggs in the basket. The entrance becomes an amphitheater. Can you spot Consuelo shaking it up in the audience? Why all the drama, mama? Oh, no! Still haven’t downloaded Two Cats and a Chicken Shop Mystery? Cut out the drama, mama and get the eBook here. Mirror mirror on the wall, what’s the verb we’re looking for? Mirror mirror on the wall, what’s the song we’re looking for? Mirror mirror on the wall, what’s the word we’re looking for? The New Download Page makes it easier to download Two Cats and a Chicken Shop. The new novel is now available as eBook for only $0.99 on amazon, iTunes, Sony Reader Store, Barnes & Noble, Smashwords, Kobo and Diesel Bookstore. Please, VOTE and write reviews in these stores! 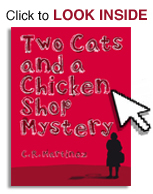 Two Cats and a Chicken Shop Mystery is now available on Amazon, iTunes, Barnes & Noble, Sony Reader Store, Smashwords, Kobo and Diesel Bookstore. Super easy download, super cheap! Click here to download. Spread the news. Thanks for your support & enjoy! PS: Have you checked out Bizarre Facts and Image Gallery yet? “Two Cats and a Chicken Shop Mystery” is a funny mystery novel that puts the genre of arcane thrillers in a humoristic, yet convincing new scenery. The book provides first-hand insight into some fascinating social phenomena from a country, hard-hit by the economic crisis. Set in present-day Spain the novel combines a variety of real-life events which places its subtle plot into a more than relevant current setting.